The husband and I read a book a while back called “Take the Stairs: 7 Steps to Achieving True Success.” It’s a motivational type book written by Rory Vaden and designed to help the reader achieve their goals by figuring out how to work hard, basically. Don’t take the escalator, take the stairs! It’s harder, but better for you in the long run. Makes sense, right? This plan allowed me to set up certain tasks to accomplish, like writing for my blog, cooking or baking elaborate recipes, researching job opportunities, working on contracts, completing household projects, or contribute to volunteer projects. Every mom out there is nodding her head and saying, “I coulda told ya so!” and many of you did, in fact, tell me so while I was pregnant. But we already cut the hospital tags off the baby, so there’s no returning him. And I wouldn’t if I could. I love him to pieces and (almost) gladly give up working out, reading, napping, and showering. The husband disagrees with the showering part. Poor husband, he gets to smell me every day! 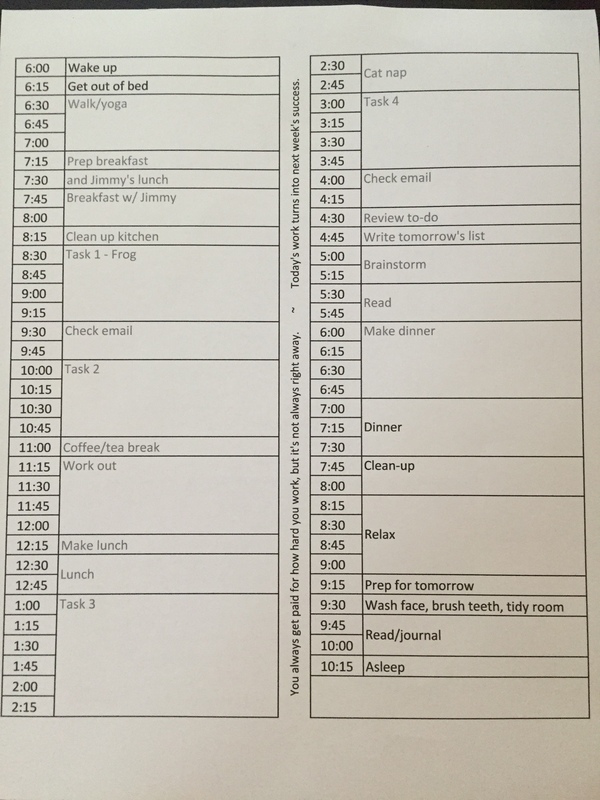 Hopefully when we compare notes, the husband and I will come up with some sort of “schedule” that involves washing the baby, me, and the dishes at least twice a week. 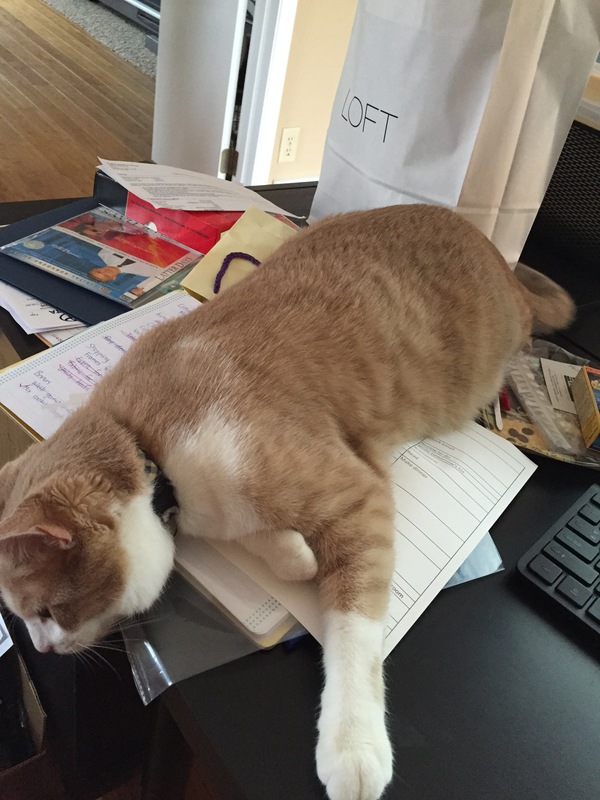 Gnocchi the cat is clearly not supporting the old schedule. I hear a baby waking up…. Previous Post Previous post: Dear Diary, I’m getting better. First off I gotta say Thank You. 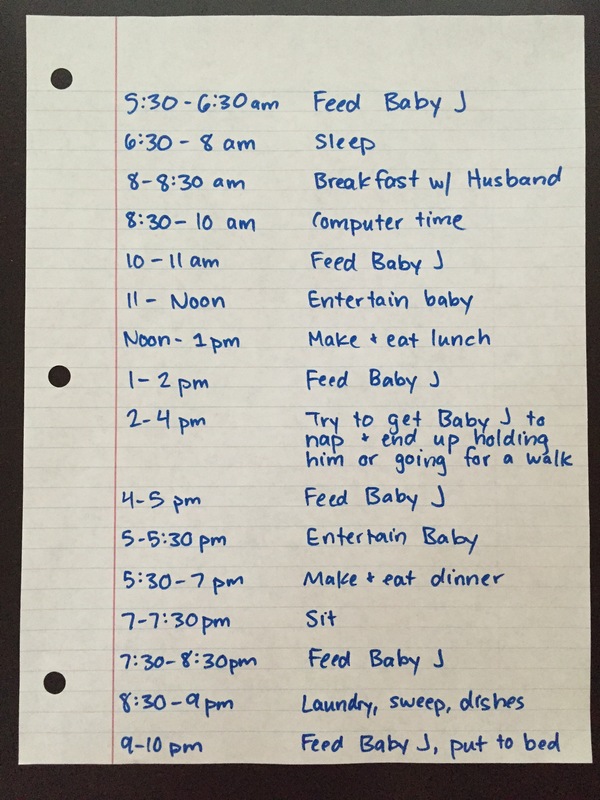 You are tirelessly supporting Baby J and have very limited time for much else. Every day I look at our son and I see him growing healthy and strong. It is your endless commitment and love for him that makes it happen. Reading this article makes me feel very grateful for you and proud to call you our son’s “mommy”. On another note I am clearly shameful for not fixing our printer after 6 months and the little fur ball I insisted we bring into the house is being his usual productivity enabling self. It looks like all three of the boys in the house are causing trouble! Will you forgive us? Thanks again. Your my hero. That’s awesome! Thanks for the encouragement. I think once naps become somewhat regular, that’ll help a lot!